Die .... not nornally seen. I guess I'm a little confused. I could maybe see the GAB die working (as those are found in the hollow back form), but how does the Destroyer die work? As far as I know there were no "Hollow Back" badges for this abzeichen. 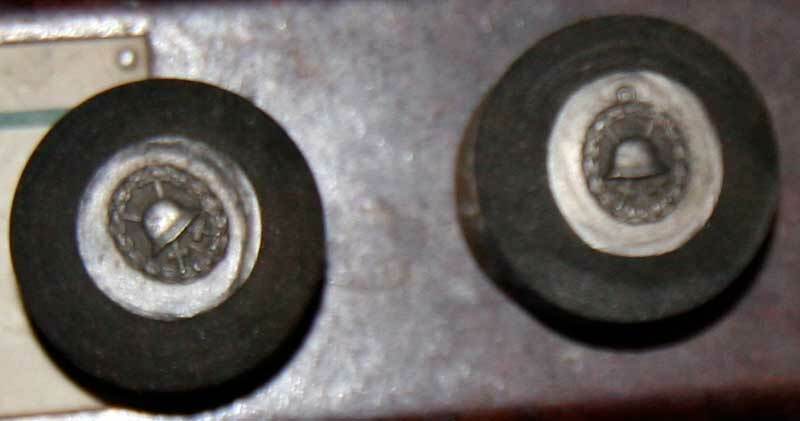 Also the features of the dies look to be pitted or eroded? 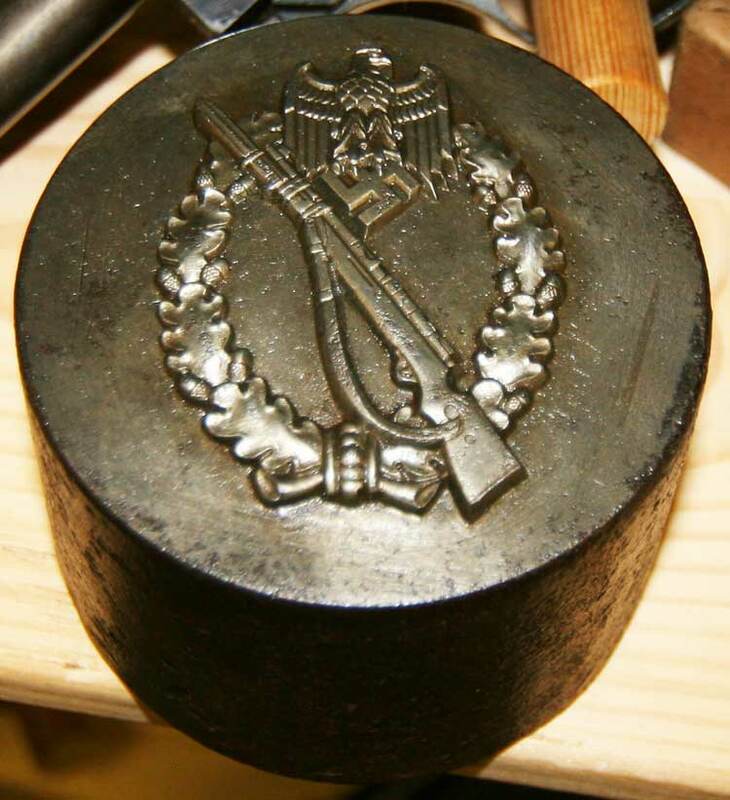 For the solid badges, these positive dies would be the "Patrize" ("Punch" in english) and would be used to stamp out the negative production dies which in turn would be used to make the actual badges. 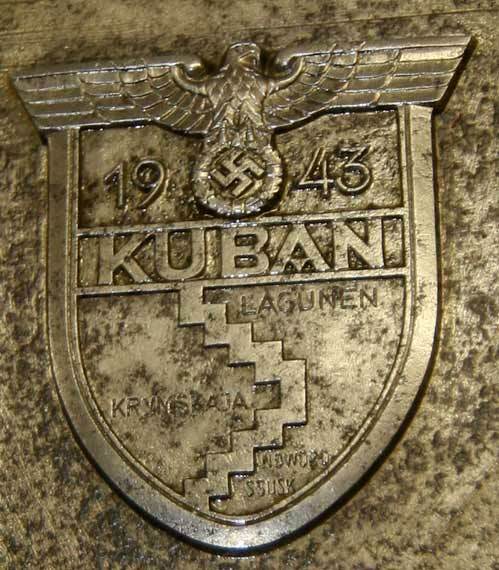 OK, we got the WWI Wounds Badge so here is the die for the WWII Wound Badge. An outstanding colection of very interesting peices. Glad you enjoy them. When I saw these dies, my jaw dropped. The detail on the dies are amazing. Best of all, there are more. I will post one or two a week so please check back to see them. I also took photos of some Italian dies and will post them as soon as I finish with the German dies. Here is another one for your viewing. Would these dies be cut out by hand? 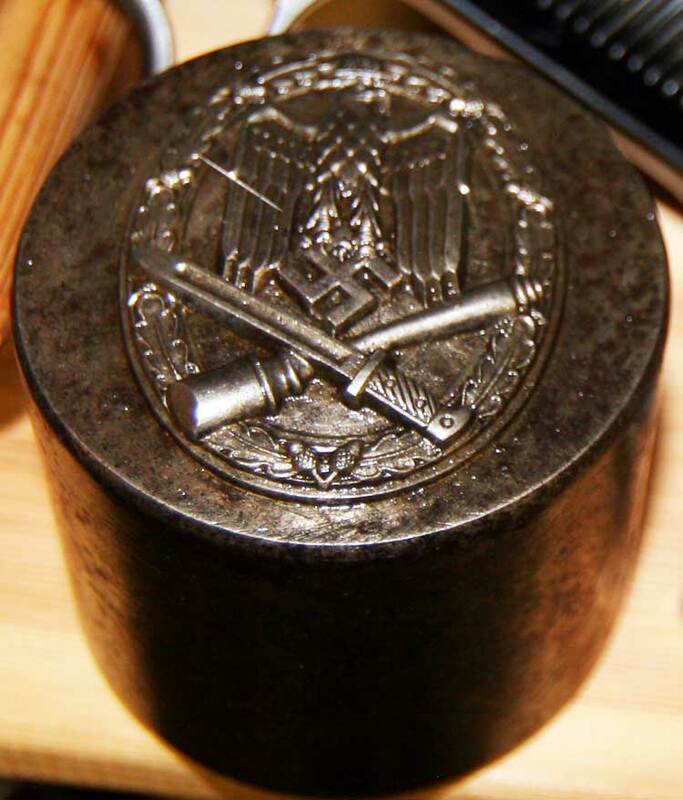 Engraved? I'm sure I've read that before but these things look incredible. .If they were it must have been incredibly difficult to do. If they are all made by one firm maybe you can work out the maker of some hitherto unknown badges i.e. detemine the maker of just one of the dies from known info on badges and you will i.d. the rest - just a thought. I have asked the owner of these dies if he knows which maker they came from. He think that they could have possibly came from Junker because he positively ID one die. 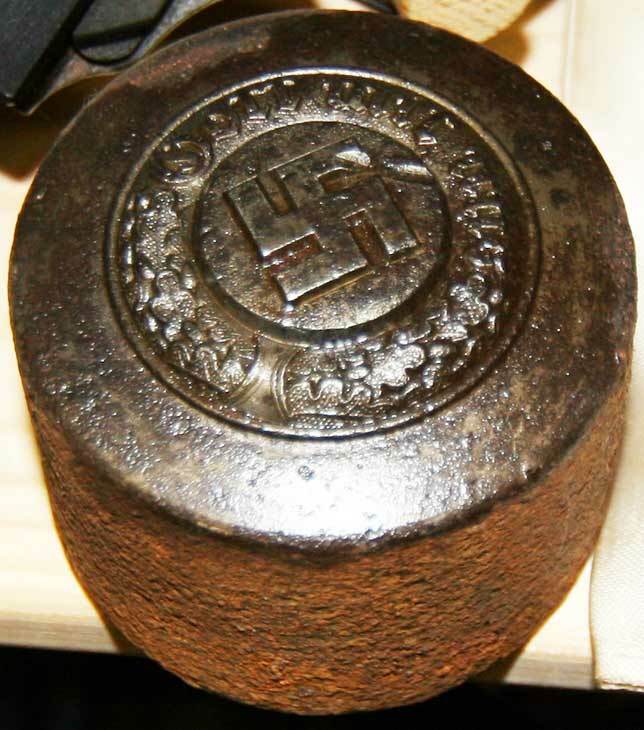 As for the die, I don't know if they were cut or engraved, but they are very heavy and seem to be very good quality steel. With regards to die manufacturing, these steel dies are not cut by hand of course. This link to a Youtube movie shows you a bit of the process as used by B. H. Mayer in Pforzheim, starting with the hand production of the oversized design in plaster. It's pretty informative but skips the steps in between the making of the negative Matrize (master die) and production of the actual negatve working dies. The in-between step that is skipped is the production of a positive Patrize (Punch, in English) which in turn is used to stamp out the negative production dies. With each step, minor hand modification/correction of the steel Matrize, Patrize and production die is done before the steel is then hardened. Presumably, most the dies shown in this thread are Punches. DN - can you tell us which die is identified as Juncker and how that was verified? Thanks for the youtube link; that was very interesting. The owner of these dies main interest is weapons he has not put any effort to doing any research to these dies. If I tell you what I saw in his collection, you would call me NUTS. I did not believe it myself till I was introduce to him. The weapons and militaria in his collection is by far the largest one that I have ever seen. Some of us dream of owning a collector grade K-98 sniper rifle ... he has about 50 of them. You name the infantry weapon and he has it ... hmmmm, I don't think he has the rifle that shoots around corner. However, don't laugh, he has a complete 88mm canon ... to include the dolly set to tow it around. If you can point out the different makers to me, I would really appreciate that Norm. I haven't posted that Juncker die yet. Still trying to do more research on this one. It is very unique .... I will post it on New Year's Eve to bring in 2011 in a special way. The owner thinks that only Juncker made this award. Well, in the other posting I had suggested the U-boat badge in post #6 was a Pforzheim design but I've changed my mind on that. On closer look the best match is Funcke & Brüninghaus, Lüdenscheid. And interestingly, I'd say the best match for the Close Combat Clasp in post #8 is also F&BL. I'm not convinced that the GAB is an RK as suggested by Don, but I can't place it at this time. Perhaps others will chime in as well. Thank you for the info. Here is 2 more dies to look at for this week. Looks like they are for the WWI Wounds Badge. Sorry for the poor quality photo. I'm all ears and eyes here - one of the most interesting threads I have seen long! Thanks for sharing! And thanks to Norm for the great link. Great pics and txs fot the thema DN! 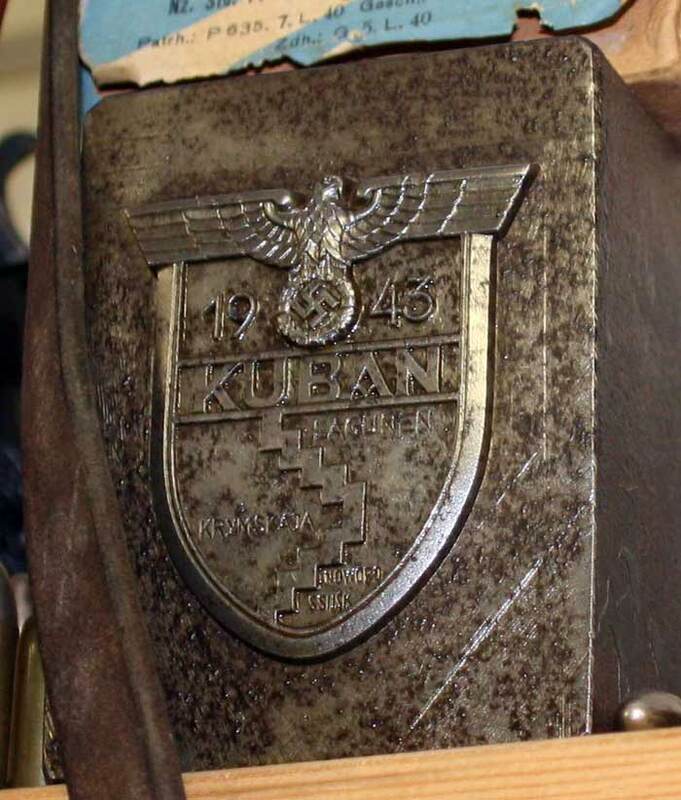 Here is another view of the Kuban die. I no longer have access to these dies and the photo I post may be the only photo taken. Some of these dies were used as display on shelves and I did not want to more them around and risk dropping them or damaging the other items around them. Reason for the bad angle to some of the photos. And here is the die of the week. If you know what this die is, please id it for me. we used this to do a wax mold and then do the microfusion. but the system is the same, nothing changed in over 70 years. Hello. Here is the die for this week. I think it is another belt buckle die. Here are 2 more dies to look at for this week. 1 of 2. Here are 2 more dies to look at for this week. 2 of 2. Best of Health and Fortunes to You and your Families. Let's start off 2011 with a special die. 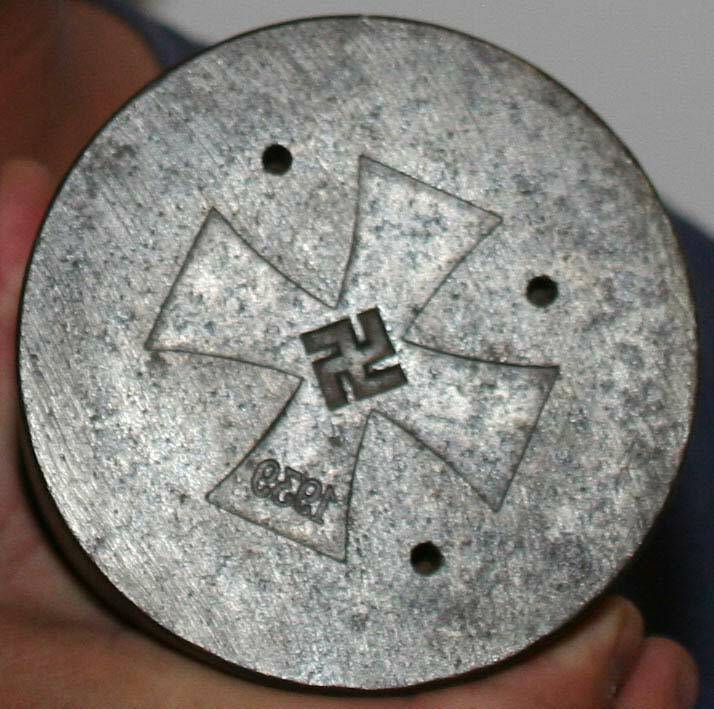 One of the die to make the Grand Cross of the Iron Cross. 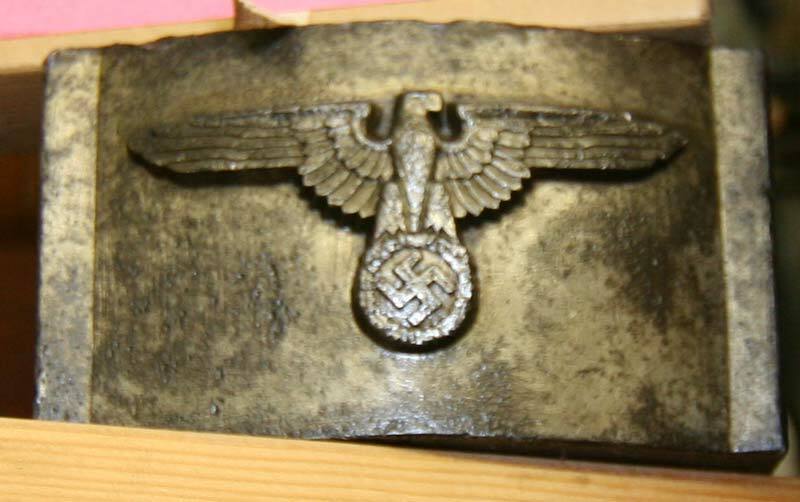 Is it the one that made Herman Goering's? 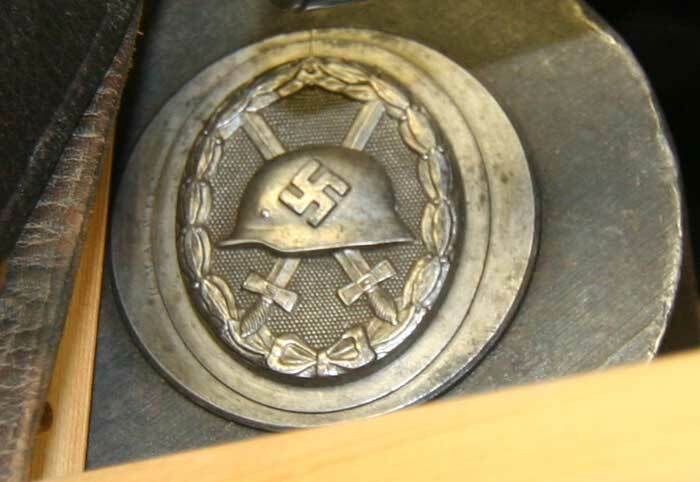 I don't know, but how impressive it would be if we can compare this die to Goering's extra Grand Cross he ordered. 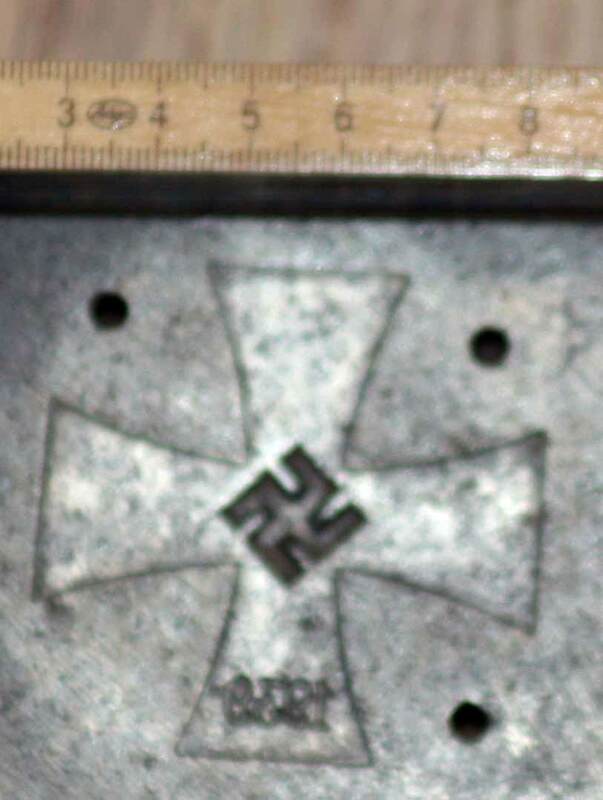 There must have been a total of 3 dies used to make the cross: obverse, reverse, and frame. This is the only die of the three that is in my friend's collection. I hope y'all enjoy the photo. Very interesting dies, any chance of seeing any shoots of the whole collection?